Okay, so you started an e-commerce business and opened an Amazon store to have an additional source of sales. Congratulations! Good decision! Amazon has a massive pool of shoppers actively looking for products to buy. Unlike in Facebook and Instagram where people are just consuming social and entertaining content, Amazon visitors are ready to spend their money! The first few months seem easy enough: uploading a few products, editing some images, and tweaking some product descriptions. Then, you start realizing that Amazon is simply…a gigantic marketplace! You start struggling on “keeping your nose above water” as your listings get drowned by hundreds of others. And as your inventory grows and you try to find out how you can possibly survive the competition. You discover terms such as SEO, sponsored listings, Amazon algorithm, and tools such as Helium, Viral Launch, Jungle Scout. Suddenly, your e-commerce world is not so simple anymore. You start clocking in more hours than you intended. Long days, exhausting nights, missed meals, Amazon marketing webinars that confuse the heck out of your brain cells that, while you appreciate all the learnings you are getting on how to run a better performing Amazon store, you start feeling like you want to bang your head against the table. I strongly suggest that you DO NOT do that, but if what I am saying is similar to what you are going through, then it’s time to reassess how you are managing your business. If things have started to become a bit “too much” and it’s taking a toll on your life, then why in the world are you not hiring an assistant? Over the years, the Philippines has become the powerhouse of offshoring/outsourcing industry. Aside from having a high literacy rate (96.05% according to UNESCO’s literacy rate statistics), VA rates are cheaper here compared to other countries. You can get a Junior office-based virtual assistant for as low as $10/hour. Another advantage is that Filipinos are easy to work with because they can easily adjust to the culture of other companies/nationalities. The Filipino culture itself is laced by different cultures, especially after the many periods of colonization. Because of this, they can incorporate, if not adapt to the culture of other nations. Many Filipino virtual assistants have excellent communication skills. They are capable of providing well-written content for different platforms and have good work ethics. Reason 1: You are too tired to think clearly so you think negatively. Hiring a VA is not very cheap, but it is less expensive compared to hiring in-house staff. You may look at different hiring platforms and find many profiles offering VA services for a good price. Simply hiring the cheapest VA does not guarantee that you will get the quality of work you expect from them. Be realistic in setting the budget for hiring a VA. Consider the skill level and experience of the VA you will hire. For example, you can hire a general VA at $3.49/hour who will perform basic tasks with supervision or hire a specialised VA at $10/hour who can perform basic and specialised tasks with little to no supervision. There is a big difference between these wages, but getting a specialised VA is more advantageous since you don’t always need to check their work, allowing you to focus on growing the business. Test! Test! Test! Truth is, the solution to this falls on your hiring process. Ask interview questions that will help you assess the candidate’s character, work ethics, and drive before deciding to onboard the candidate as a part of your team. After all, if you don’t feel you can trust them, why hire them in the first place? In case you’re dealing with sensitive data, you can always hire an office-based virtual assistant. We are not talking about home offices but actual company offices. This way, aside from making sure that the service agreement is legally binding and the appropriate government taxes are being paid. You can rest assured that work computers are not taken outside the work premises, CCTV cameras are in place and some employee management is implemented. This will reduce the risk of data breach. Train! Train! Train! You can’t expect somebody to immediately know the ropes of your e-commerce operations. Once you and your Amazon VA get used to the process, it’s almost the same as working with your in-house team. Learning about their culture and practices will help improve your communication with your Amazon VA. Most VAs also study the culture and practices of their clients. In addition to this, you can spend some time with your VA to share the culture of the company. This will give them a better understanding of what they need to do and how they should respond to certain situations as they work with you. Another common misconception about Amazon VAs is that they can only do simple admin tasks. This may be true, but only for general VAs or entry-level positions. Nowadays, there are Amazon VAs who specialise in different channels of marketing, customer service, e-commerce, and even accountancy and bookkeeping. Don’t dwell too much on the thought that you’re the only one who can do what you’re doing. Taking care of all these tasks on your own will only lead to burnout. Spend some time to analyze your current process to determine the tasks that you can delegate to someone else. By understanding what the business really needs, you’ll never run out of tasks for your virtual assistant. Joyce has been handling Amazon accounts for more than 7 years. Her extensive knowledge in the channel makes her capable of facilitating training to ensure that employees have the right skills needed to handle accounts, as well as products and services offered by their respective clients. 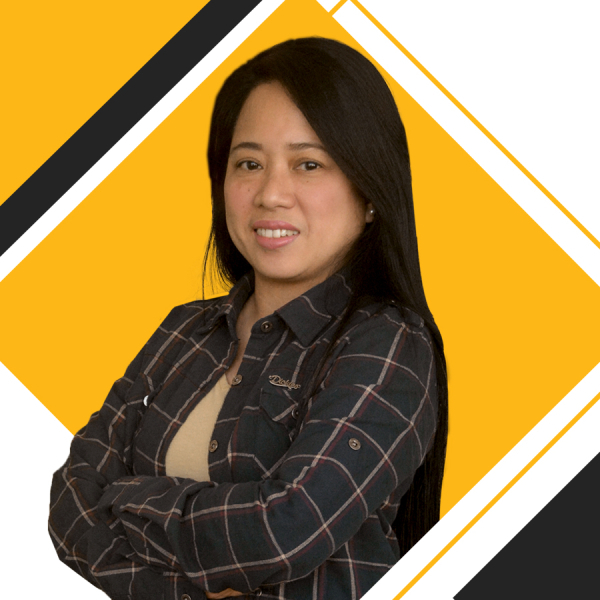 As an Amazon Virtual Assistant, she leads a team of specialists who manage Amazon Seller and Vendor Central accounts, and optimize campaigns and product pages to increase product visibility (both on Amazon and in other search engine result pages). She also provides coaching and mentoring for her team members about their roles in specific projects. After you realize that you need an assistant, it’s not enough to hire whoever applies for the position and give them random tasks. 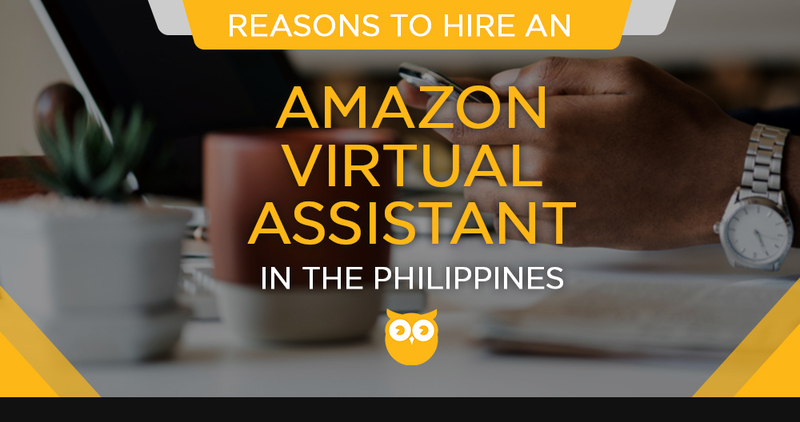 Some business owners who hire Amazon virtual assistants fail because they have no idea about what tasks they should outsource and what virtual assistant profile they should look for. These efforts will only lead to a waste of resources if you overlook the simple yet important task of analysing the needs of your business. Remember, your goal is to reduce the non-income generating tasks so you can focus on growing your business. To achieve your goal, you have to 1.) identify the tasks that take most of your time, but are generating little to no income, 2.) look for a virtual assistant who can deliver what your business needs at a reasonable price. If a team of specialised VAs can help you achieve this goal and you have the resources to hire more than one Amazon VA, then get all the help you need. The cheapest VA available is not always the best Amazon VA you can hire. You may look at different hiring platforms and find many profiles offering VA services at a cheap price. However, this does not guarantee that you will get the quality of work you expect from them. Be realistic in setting the budget for hiring a VA. Consider the skill level and experience of the VA you will hire. More experienced Amazon VAs usually charge more since you’re not only paying for their time, you are also paying for the skills and what they can contribute to the growth of your company. Why hire a general VA at $3.49/hour who will perform basic tasks with supervision when you can hire a specialised VA at $10/hour who can perform basic and specialised tasks with little to no supervision? There is a big difference between these wages, but getting a specialised VA is more advantageous since you don’t always need to check their work, allowing you to focus on growing the business. As we’ve mentioned before, you can hire virtual assistants who specialise on certain channels. You can maximise the potential of your Amazon VA by assigning tasks and projects according to their skills and expertise. This means that your VAs will need minimal to no supervision since they already know what they’re doing. Using their knowledge and expertise in their respective channels, they can develop and implement strategies to help grow the business and get a wider audience reach. Hiring a specialised VA is like having a partner in growing your ecommerce business. They help reduce your workload and provide the support you need to make your brand more visible to your target market.